If you're searching for Seattle area real estate listings, there is no greater or more powerful tool than our Seattle MLS search. 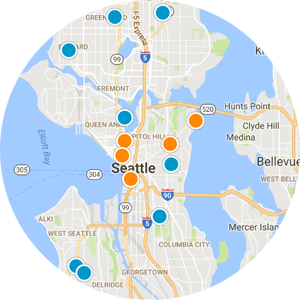 Our personalized search allows you access to thousands of homes in the Seattle area. Customize your own search to ensure that you only see the kind of homes you want in a price range that you can afford. No matter what you are looking for in a new home, our Seattle MLS search allows you to define your own parameters, number of bedrooms or bathrooms, location, or price range. Our data base comes right from the MLS where agents input and update home listings. Findourpad is a real estate search engine that has the most updated data base out there. Unlike other sites like Zillow and Trulia the home owners don’t have access to update the listings so you will never find old and outdated homes for sale. At Findourpad our experienced real estate agents have one focus – to bring you results. Whether you are selling a small property or buying a luxury condo in downtown Seattle, Our agents will bring the same determination and attention to detail. Are you looking to buy a home in the Seattle area? Are you looking for something particular? 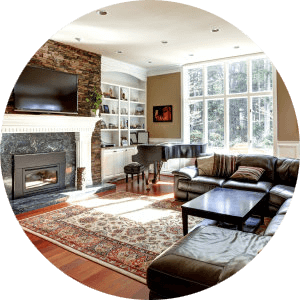 Whether you are looking for a Seattle Home, Everett home, Lynnwood home, Ballard Real Estate, Magnolia homes, Shoreline Properties, Wallingford homes for sale, Or something on the Eastside, this site can help you with your goals. Whether you are looking for a new home, town home, condo, craftsman home, or a modern home, findourpad.com has the answers and experience you need to get the most from your purchase or sale. We will send you listings that match your criteria as soon as they are listed. You can also Find tips on homes, condos and get updated real estate market reports. Buying or selling a home can be the single the most important transaction in your life, therefore it is important you work with someone who has the experience, professional expertise and integrity to make your next Seattle area real estate transaction pleasurable and stress-free. Find out what your home is worth by filling out our Home Valuation form. If you have further questions about the Seattle area real estate markets or would like to schedule a home tour feel free to contact us anytime.